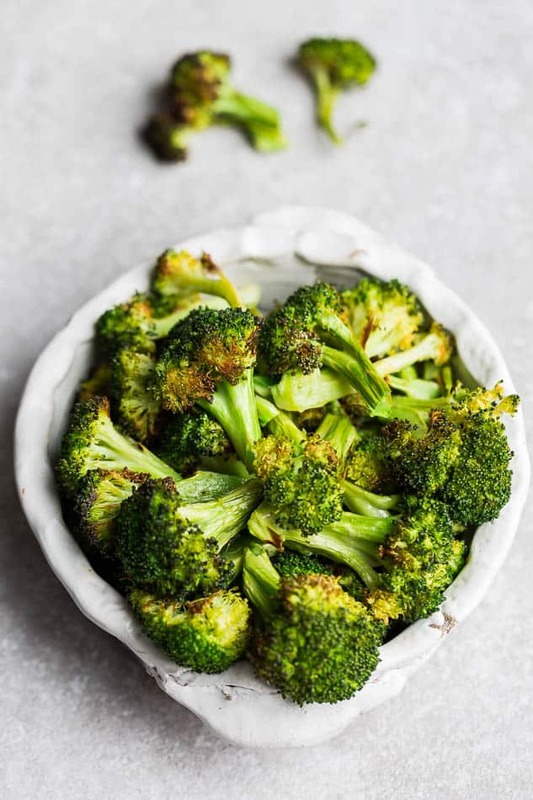 Roasted Broccoli with Garlic – a super easy and healthy side dish perfect for Thanksgiving, Christmas or any weeknight meal. 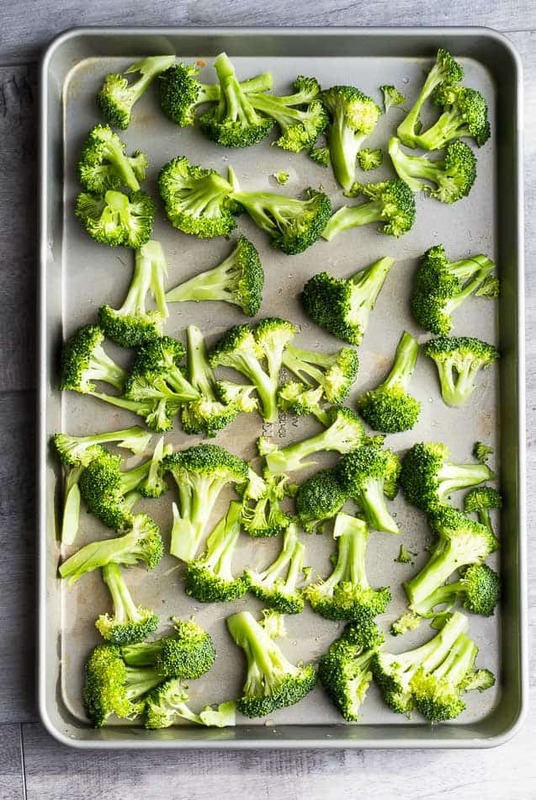 Best of all, so simple & even the kids will love this simple and delicious baked broccoli. 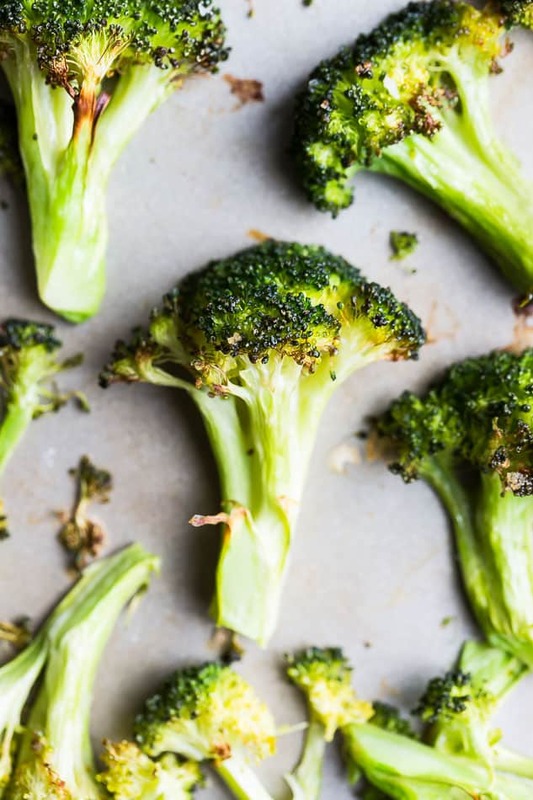 Oven Roasted Broccoli with garlic is easily one of our family’s favorite side dishes. My kids LOVE broccoli (yes, even steamed broccoli ?) so we always make a big batch on our Sunday meal prep to serve with our meals throughout the week. 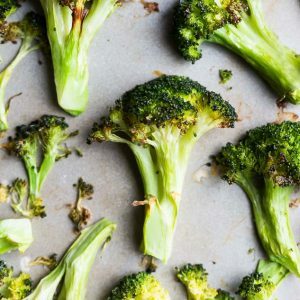 Roasted Broccoli is the perfect make ahead side dish and goes great with just about any protein: chicken, fish, turkey, ham, steak etc. You can keep it as simple as you like with some olive oil, salt and black pepper. Baked broccoli makes a tasty gluten free, vegan, Whole 30, low carb, and keto / paleo friendly side dish. I love how easy roasted broccoli with garlic is to make, too. Or dress it up with some fresh lemon juice, red pepper flakes and even some shaved Parmesan. The hardest part is not eating it all straight off the pan! No matter what way you choose, you simply can’t go wrong with this simple yet elegant side dish. Make this easy side dish recipe on busy weeknights and special holidays. Thanksgiving, Christmas, Easter – no matter the occasion, this broccoli will disappear quickly. Wash and dry the broccoli thoroughly. Cut the broccoli florets into relatively uniform bite-sized pieces. 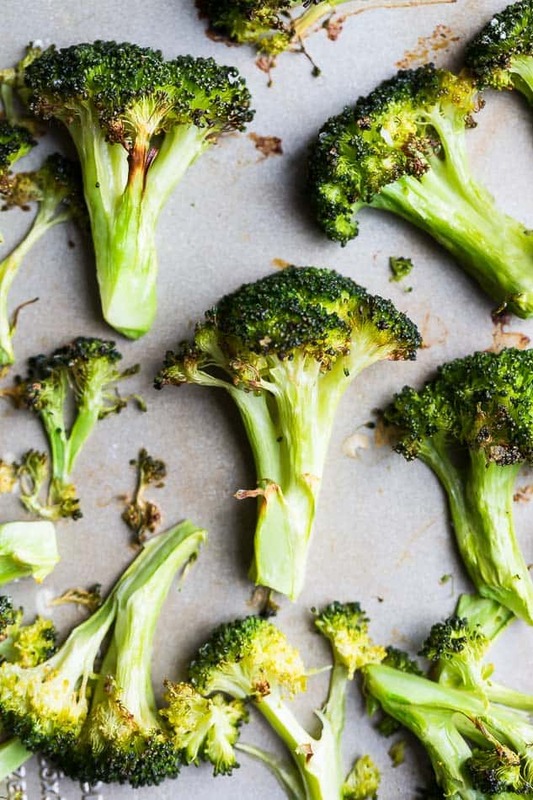 Coat broccoli with olive oil, garlic, lemon juice and salt and pepper to taste. Feel free to add red pepper chili flakes, grated Parmesan or any other herbs or seasonings you like. Spread onto a large baking sheet in a single layer – being careful not to overcrowd the pan. Feel free to line your baking sheet with parchment paper or foil for easier clean up. Bake for 22-25 minutes or until tender and caramelized. I like to wait until the edges are brown with some burnt edges – SO good!! Serve and enjoy. Not a fan or ran out of fresh garlic? Feel free to leave it out or swap it with garlic powder instead. Roasted Broccoli - a super easy and healthy side dish perfect for Thanksgiving, Christmas or any weeknight meal. 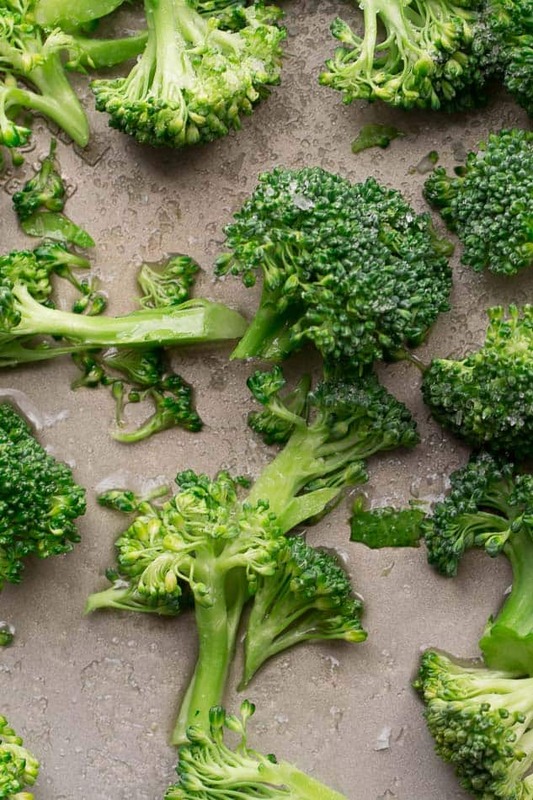 Best of all, so simple & even the kids will love this simple and delicious baked broccoli. 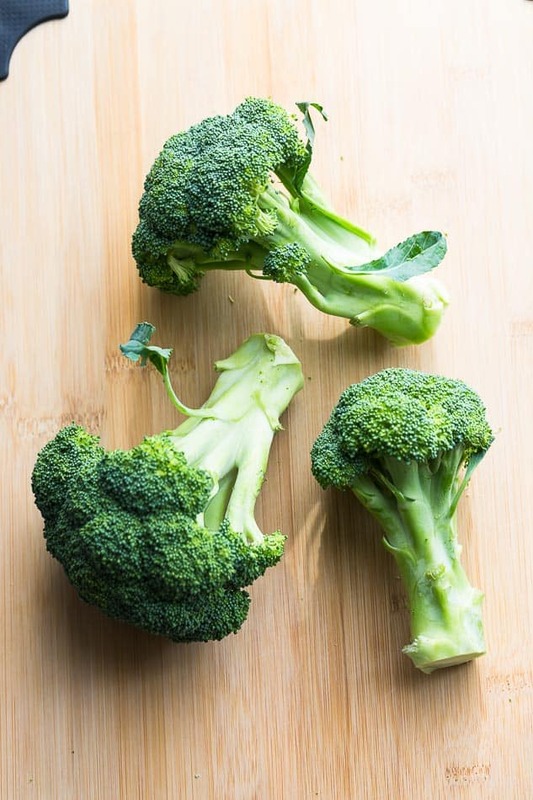 Toss broccoli florets with olive oil, garlic, lemon juice and season with salt and pepper to taste. Add optional seasonings as desired. 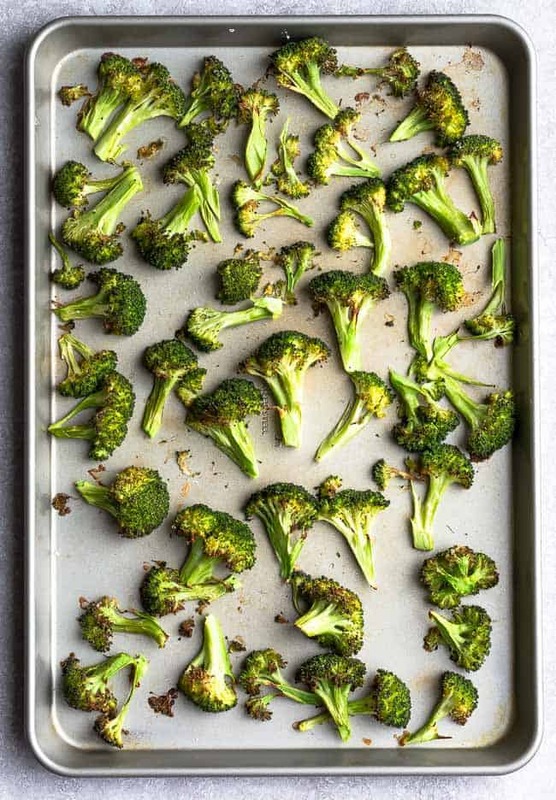 Spread broccoli florets in a single layer onto a large rimmed baking sheet. You can line it with parchment paper or foil (for easier clean up). Roast for 15 minutes then remove tray. Shake and rotate the pan. Return to oven and roast for an additional 8-10 minutes or until tender with charred edges. Serve immediately. Have to say roasted broccoli always have a firm position in my dinner table almost every weekend as it’s the veggie i love the most ? fast and simple are the best, aren’t they?